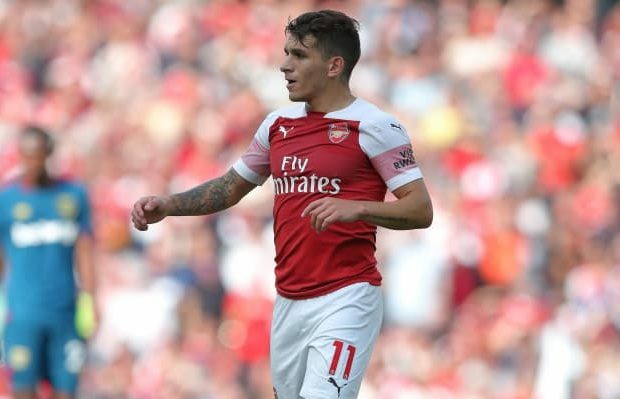 Sky Sports pundit Gary Neville feels Lucas Torreira has been a ‘massive upgrade’ in midfield and claims he’s had a ‘huge’ impact since joining Arsenal in the summer. Torreira’s move to the Emirates Stadium was all-but agreed shortly before the World Cup and he eventually sealed a £26m switch from Sampdoria after helping Uruguay reach the knockout stages in Russia 2018. 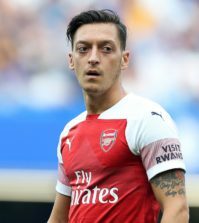 The diminutive midfielder put-in some impressive performances at the World Cup and it attracted late interest in his signature but he snubbed all other offers after giving his word to Arsenal before the tournament. He’s turned out to be a superb signing for the club as Torreira has added some much needed ‘bite’ in to our team and while he’s known to be a defensive midfielder, the 22-year-old has proven to be a useful asset in front of goal, too. 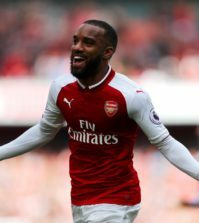 The South American scored a superb goal to seal our 4-2 comeback victory over Tottenham in the North London Derby before netting a late winner with an acrobatic overhead kick to secure a 1-0 win over Huddersfield last weekend. His form in the middle of the park has been a key factor in our recovery from losing our first two games of the season to embark upon a 21-game unbeaten run in all competitions and understandably Torreira has been attracting plaudits from fans and pundits in recent weeks. Neville spoke highly of Torreira on Monday Night Football with the former Man Utd defender and now respected pundit claiming he’s been a ‘massive upgrade’ in midfield and has had a ‘huge’ impact in north London. “I’ve been massively impressed. I watched him in the World Cup. I did the France vs Uruguay game live and he was tenacious. In the first half an hour to 40 minutes you thought he gets around the pitch and he’s like a terrier, but then actually as France started to get on top he started to get dominated. “Obviously Uruguay got a bit desperate but with the likes of Paul Pogba and Blaise Matuidi in midfield and Antoine Griezmann dropping in, I just remember thinking he couldn’t get around the pitch. “So when Arsenal signed him you just wondered how it would be? But his impact upon that team is huge. I think it’s the biggest impact actually if you think about the character Arsenal have shown this season in terms of the second-half performances, keeping going and the tempo they sometimes set in games. 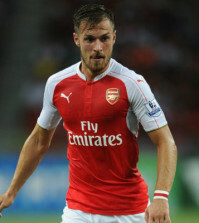 “I think someone like him leaves his team-mates with nowhere to go. We’ve talked about Arsenal’s approach to games over the last two or three years and there was never that feeling that you felt as though it mattered at times. At times in big matches they always disappointed and you felt there wasn’t a leader out on the pitch for the players to look towards. “If you look at him in that derby last week against Tottenham getting forward into the box he’s almost like this bundle of energy that everyone else in the team responds too, and this team needed that. “With this Arsenal player over this three, four, five, six years that they’ve needed you’ve always got this picture of Emmanuel Petit and Patrick Vieira in your mind – a strong presence in midfield. Obviously scoring a goal in your first NLD will endear you to Arsenal fans but Torreira was on course for legendary status well before the Spurs game due to his quality and attitude. As Neville says, Torreira has had a huge impact on this Arsenal team and I think he’s only going to improve further over the coming years. What a signing!